Cary, NC – Aug. 5, 2014 – INDA, the Association of the Nonwoven Fabrics Industry, today announced the IDEA2016 International Engineered Fabrics Conference and Exposition will move to the Boston Convention & Exhibition Center, May 3-5, 2016. Major upcoming renovations scheduled for the Miami Beach Convention Center required INDA to seek a new venue to host the global nonwovens industry’s largest event of 2016. INDA selected Boston in May as the best location for its date, size requirements, and overall show and visitor experience. 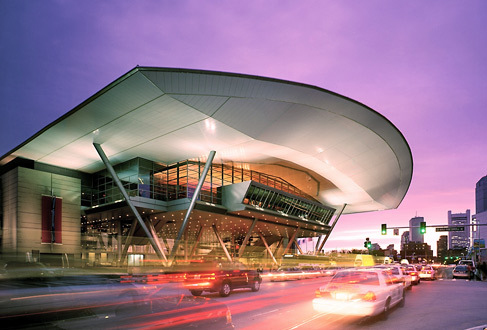 To accommodate the show’s continued growth, the Boston Convention & Exhibition Center (BCEC) offers IDEA a space equivalent in size and shape to that of Miami Beach and will be the only event occurring at the BCEC during the three days. The highly successful IDEA2013 drew close to 7,000 industry participants to Miami Beach from 72 countries to conduct business with industry members and INDA expects that IDEA2016 in Boston will attract similar numbers. As “America’s Walking City,” Boston offers an activity-filled waterfront location with world-class hotels, restaurants, historic and cultural attractions, and nightlife for continued interactions after show hours. Boston is easily accessible by plane for international and national visitors with excellent train service from New York City. With dramatic, sweeping views of Boston’s expanding waterfront, the state-of-the-art BCEC provides flexible exhibitor space, a dynamic video wall and media tower, on-site meeting rooms, and WiFi access throughout among other amenities at this “exhibitor-friendly” venue. The BCEC has earned a rare gold standard from the International Association of Congress Centres (AIPC), making Boston’s BCEC only the fourth center in North America and the 12th worldwide to have been awarded this top standard, the highest certification level a convention facility can achieve under strict AIPC guidelines. IDEA2016 will once again be highlighted by the annual Achievement Awards, and the well-attended conference sessions focused on regional global markets, trends and forecasts. “We intend to return IDEA to Miami Beach in the future, but this opportunity to experience a world-class facility in Boston will make this event a most memorable experience. We’ve had a great response to this new venue for our triennial event and exhibit space sales have already been brisk,” said Rousse. For more information on exhibiting at IDEA2016 contact Marilyn Bellinger: email mbellinger@inda.org, phone: (919) 233-1210 ext. 118 or visit: inda.org.